Y'all, I'm sorry about the barrage of holiday posts, but I'm so genuinely jazzed this year. I haven't had a ton of holiday posts on the blog because the holiday season has always seemed to sneak up on me. Not this year! This year, I am prepared. I'm going to be feasting on sugar cookies with homemade natural food coloring, homemade hot cocoa, and looking at ALL of the Christmas lights. There's definitely a stigma around experience gifts. Let's face it when you hear someone say, "Experience gift," you immediately think expensive/$$$$. At least I do! When I hear, "Experience gift," I think vacations, sky diving, tickets to concerts, and sporting events. But, experience gifts don't have to be expensive. Experience gifts can be inexpensive. I've broken these experience gifts down by price point, to help you gift experiences this holiday season. You can get an experience for everyone! When you give an experience gift to a friend make sure to offer them at least three dates for them to claim their prize. If you don't, you put too much pressure on the receiver and it can often feel like an empty gift. I also like to make a card or a little coupon/ticket to give to the receiver (assuming their experience doesn't come with one) just so they have a physical reminder. Don't forget to check out groupon a lot of these experience gifts are on sale. 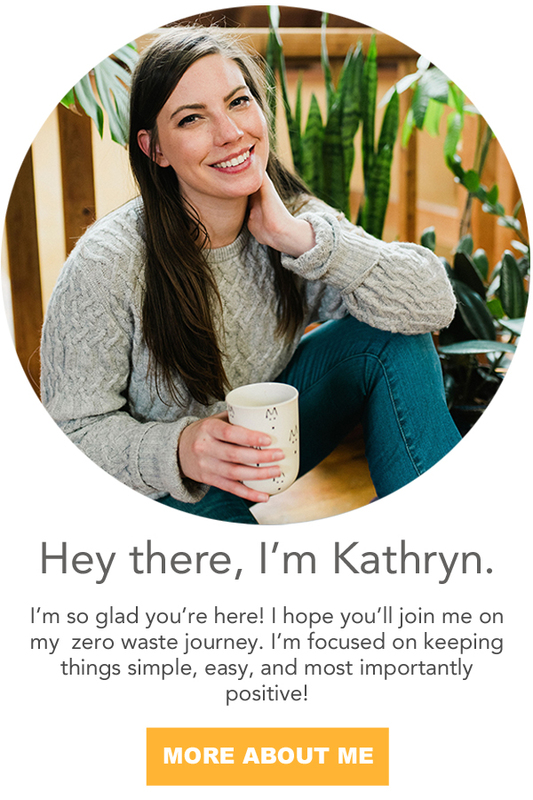 Also, check out my zero waste gift guide for consumables! 1. coffee: The gift of coffee is a great one. I love to take my friends out for a cup of joe. We can chat for an hour and catch up and it only costs around $10. 2. ice cream: A trip to the ice cream parlor is another simple gift. Go with a friend to grab a cone of your fav flavor mine is vegan chocolate peanut butter! Place it in a sugar cone to keep it zero waste and this gift will only set you back around $10. 3. hike: Grab a friend for an afternoon, pack some homemade granola, and get out in nature. Spend some time soaking up the beautiful scenery and good conversation. This gift is free! 4. picnic: Head to a park for the afternoon and enjoy some tasty homemade treats. Just remember to keep it zero waste and here are some tips. This git costs around $10-15 depending on what you pack. 5. ice skating: I always loved ice skating especially in the winter. Grab your favorite scarf, mittens, and bff for a fun trip to the rink! Grab some hot cocoa with extra marshmallows while there, just remember to get it in a real mug. This costs on average $20 per person. 6. roller skating: Roller rinks were the hit birthday party activity when I was growing up. Throw it back with your friends and rent some rollerblades (or break yours out from a couple of years ago) for the evening. This costs about $20 per person. 7. out for a drink: invited your friend out to the bar or the pub for a drink. Even better aim for a trivia night for an extra fun evening. This costs about $20-$40. 8. gardening / composting class: Many local community gardens offer composting and gardening workshops. These classes are typically inexpensive and run about $20 for two. 9. movie tickets for two: Grab one of the latest flicks with your friend. You can grab some candy in bulk and sneak in it in your bag or just pick out candies that come in a cardboard box like dots or Raisinettes. Compost the box when you're done! This trip on average costs $25. 10. bowling: Bowling night is always a blast! I love going bowling with friends the alley we go to even serves pints of beer in real glasses woot-woot! Treat your friend to a super fun night of strikes and spares and it only costs about $30. 11. lecture: It's always nice to attend a lecture on a topic you're interested in. When Justin and I first moved to California we got each other tickets to a lecture at California Academy of the Sciences and it cost about $30. 12. comedy or improve show for two: There are a lot of comedy and improv shows done by local troupes. Check out a local troupe for a fun night of laughs. This fun event will only set you back about $30. 13. arcade: Pizza and pinball, I can't think of a more fun night! Challenge your friend to all of the arcade gamers like Mrs. Pacman, Twin Racer, and the King of Fighters. This fun night only costs about $30. 14. batting cages or driving range: On that same page, a lot of arcades have batting cages, driving ranges, or go karts. There are so many fun ways to spend time with your friends that don't involve walking around the mall. This gift costs around $30. 15. a foraging trip for two: My friend took one of these local foraging hikes and it sounded like so much fun! Get outside and learn about the local flora and fauna. The class cost about $40 for two. 16. laser tag or mini golf: Mini-golf and laser tag are such fun events! Head out with a friend or two for a wildly competitive evening. This gift costs about $40 for two-three people. 17. rock climbing: It's nice to center friend activities around being active. Take a break from all of the holiday indulging and take a trip to a climbing center together. This will cost around $40 for two. 18. fermentation workshop for two: Fermentation workshops are all the rage right now. I see them advertised everywhere. You can learn a new skill with a friend and pick up tickets for two around $40. 19. two museum tickets: Justin and I are definitely museum people. We love going to museums. In fact, when looking for honeymoon destinations good museums was on our list of "must haves." tickets to museums run all over the place but on average it's about $50 for two. 20. campground for a weekend: Plan a camping weekend with a friend! You can typically rent a local campground site for a tent for around $50 a weekend. 21. pub crawl: I've seen so many pub crawls advertised this year. A pub crawl typically involves going to two or three breweries and trying a flight at each one. A pub crawl costs about $50 for two. 22. trampoline place for two: Get your bounce on! Trampoline parks look like so much fun, make it a family trip and a two hour pass for two costs around $50. 23. escape room: You know I'm partial to escape rooms! Most of the time you can grab a ticket for an escape room fairly inexpensively. You can book a place in a room for two around $50. 24. yoga passes for a month: If your friend is a totally yogi, buy them passes to their favorite yoga studio. My favorite one in town charges around $60 for a monthly pass. A total steal for a gift that keeps giving all month. 25. chocolate workshop: Wouldn't it be so fun to go learn how to make delicious chocolates with your bestie? Then you could come home and watch a movie and eat all of those yummy chocolates!! Sounds like a perfect day to me. These classes for two cost around $60. 26. theatre show: There are always shows going on grab tickets to a musical or play and support your local theatre scene. It's a great night out you can grab a drink at a bar afterwards and discuss all of your favorite moments. Tickets to a local show cost around $60 for two. 27. tickets to a minor sporting game: Minor sports games or college games tend to cost less than the pro games. There still just as fun though! I used to go see the Arkansas Travelers play all of the time. It was great to hang out with friends. Tickets to these games run about $60. 28. wine tasting: Wine tasting is one of my favorite activities when friends and family come to visit. Tastings do cost money, you can hit up about three wineries with a friend for about $60. 29. dance lessons: Take your sweetie out for a tango, salsa, or swing class! Spend the night twirling away. You can grab a couple of classes for about $60. 30. bath house for two: Spend the day in a bath house for a luxurious present. Steam rooms, hot tubs, and pools it sounds like such a relaxing atmosphere. This present for two is about $60. 32. zip lining: A couple of year's back I went zip lining in the Ozarks. It was SO MUCH FUN! A great experience gift for a friend or family member. For two it cost about $80. 33. massage: Who doesn't love the gift of pampering. This is my mom's favorite gift, and I've gifted Justin a couple's massage before too. (Of course, that's kind of like a double gift. ;) A massage typically runs around $100. 34. facial: A facial is another great gift to pamper someone you love. As the weather is getting colder, it can wreak havoc with our skin. A facial is a great way to get back some of that summer glow. Facials cost around $100. 35. dinner: It's always nice to take your friend out to a nice dinner. You can also give someone a gift card to their favorite restaurant. Giving someone a break from cooking is a great gift. A couple of drinks, an app, entree and a desert to share is about $100. 36. bread making class: I've seen a couple of bread classes advertised recently that look like so much fun! Giving the gift of making bread is a gift that keeps on giving. The class costs $100 for two. 37. musical classes for a month: Has your friend or loved one wanted to learn how to play a musical instrument? Buy them a month of classes! It runs around $120 for four 30 minute classes. 38: cooking class: Take a class with a friend or loved one and learn how to make a new type of cuisine. You can take your skills and cook for friends and family too. Classes cost around $125 for two. 39. tandem skydiving: If you're looking for an adventurous time for you and a pal, nothing says, "I love life," like jumping out of a plane together! Tandem skydiving costs around $125. 40. opera tickets: Opera costs a little more than musicals or plays but it's a wonderful time! Justin got me tickets to the Opera for my birthday this year and we're going on Sunday. I can't wait. Tickets for two cost around $125. 41. theme park passes: Season passes to a local theme park is a way of having fun all year long. Two passes cost around $150 - what a steal! 42. sailing trip: Living by the water, there are lots of boats you can charter for sunset cruises. You and a loved one can embark on the water for a 1-2 hour long trip around $150. 43. hot air balloon: I've always wanted to ride in a hot air balloon ride. It sounds so lovely! You can charter a balloon for around $200. 44. tickets to a concert: Of course if you go a see a local band play you can catch one for $20-$40. But, if you're looking to see a more well known artist, these tickets can set you back quite a bit. I bought Justin tickets to see Roger Waters for his birthday and the tickets cost around $100 each. 45. tickets to a major sporting game game: If your friends or family members are big sports fans, tickets to see their team play is a great gift! I got tickets for Justin to see the Celtics play a couple of years ago and the game was SO much fun. 46. cycling ride tour for two: Grab a pal and get ready to hit the open road. Here in wine country there are a ton of guided bike tours that include lunch and wine tastings. These trips look like so much fun and cost around $200 for two. 47. photo shoot: Consider hiring a photographer to take family photos. Photographers have different sitting fees depending on location and timing, but it will probably be around $200. 48. chef's tasting menu: I have always wanted to do a chef's tasting menu! Justin is NOT a foodie, so I don't know if we'll ever do that together... but I bet if I bought it for a present for a friend I could probably make it happen. Tasting menu's with wine pairings run around $250. 49. gym membership: This gift will keep giving all year round. I have a gym membership and it costs around $360 for a year long pass. 50. trip: Of course, you could also go really extravagant and buy someone a trip! Someday, I know that I will surprise Justin with a weekend trip to Boston to see his beloved Celtics at home. I know I forgot some experiences on this list. What would you add? 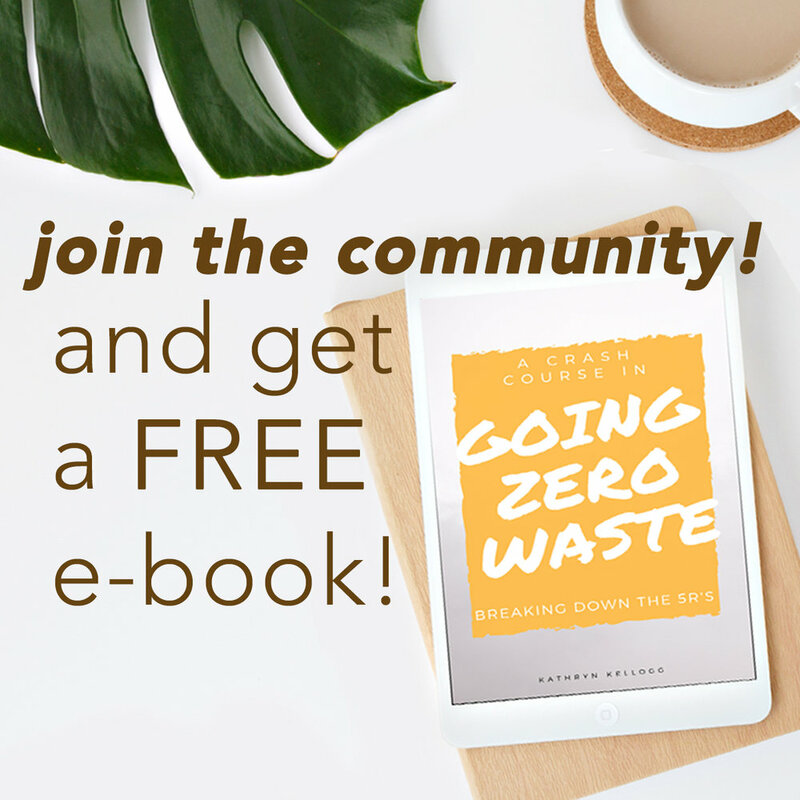 Don’t forget to check out my guide to throwing eco-friendly and zero waste parties, and of course, if you’re looking for eco-friendly and sustainable gift guides, I have you covered on those too!